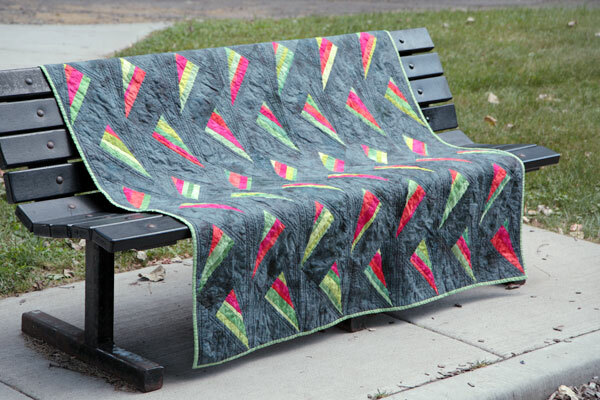 This quilt was my first original quilt design. I used entirely my own hand-dyed fabrics. In hindsight I regret the black background, but I still love the pattern! I did write this quilt up as a pattern but never published it. I still entertain the idea of going back to it someday and remaking it in “prettier” colors. For the backing, I had a stack of green tints and a stack of pink tints from a hand dyeing fabric workshop I took in 2008. 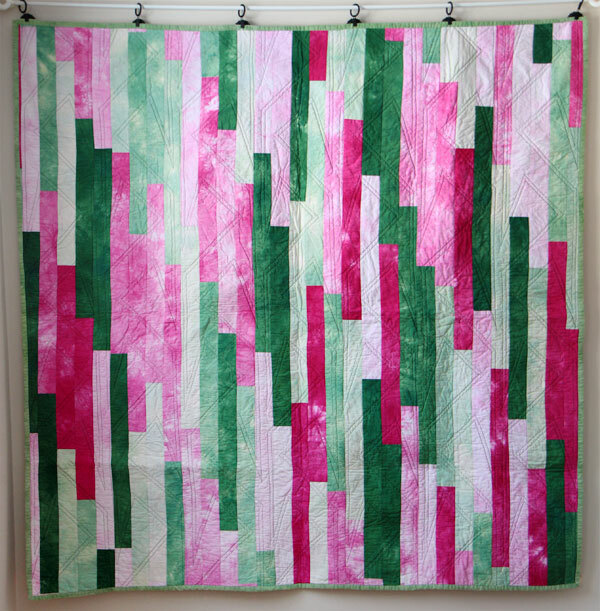 I decided to cut them all up into 2.5″ strips and jellyroll race the back. This is the first time of many to follow where I used this technique to make a backing!